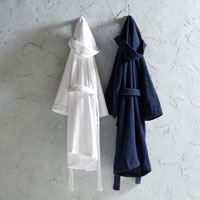 Wrap yourself up in pure luxury with our opulent Supreme Hygro® towel collection. Made using 100% Supima cotton, grown exclusively in America, Supreme Hygro® towels are the only way to experience pure comfort in your home. Woven with love, this hollow-fibre cotton is ultra absorbent, and is soft against the skin, making those secluded moments extra special. Experience our Supreme Hygro® collection below. No home would be complete without a Christy towel, and our Supreme Hygro® collection will transform those intimate moments into a spa-like experience. This collection uses 650GSM of our patented Hygro® technology, creating an ultra-absorbent and plush finish using one of the best cottons in the world. 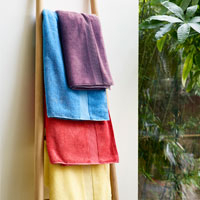 Hygro® technology means your towels will retain their colour for years to come. From classic, crisp white to deep, rich reds, these beautifully-plush towels offer 29 different colour ways that will compliment your home perfectly. 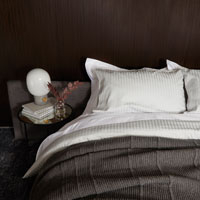 Each colourway coordinates with a matching Christy rug, so you can indulge in total perfection from head to toe. This unmistakably British collection was first created in 1850, in our Manchester cotton mills. Over a century and a half later, we still provide our customers with products that as designed to last.